Iran Claims It Has Sent Another Monkey Into Space : The Two-Way The country's first claim of safely sending a monkey into space ended in controversy, when a different monkey was used in pictures showing the return. 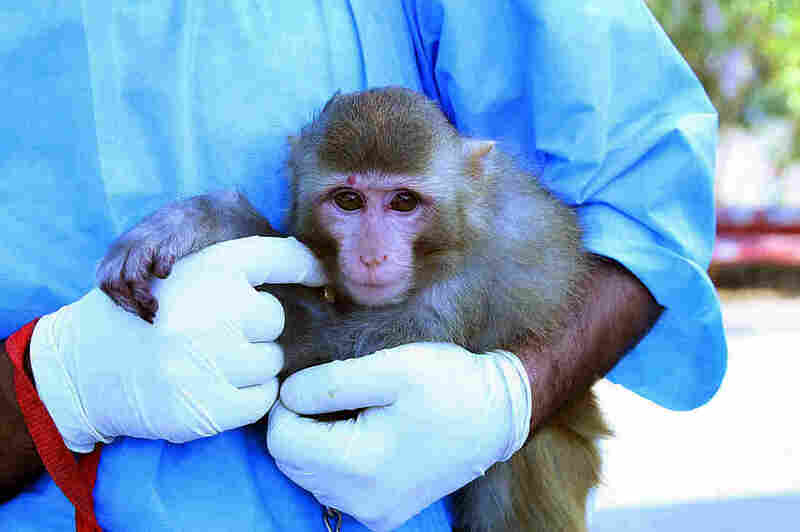 The monkey Iranian authorities said was sent to space in January. Iran claimed today that it had successfully sent a second monkey into space and brought it back to Earth safely. In a statement on his official English-language site, President Hassan Rouhani said he had congratulated Iranian scientists for the "significant achievement." "President Rouhani appreciated the Iranian scholars for dispatch of the second monkey named 'Fargam' into space and its successful return," the statement went on. As you might remember, the first time Iran claimed to send a monkey into space in January, the mission ended in controversy. As we reported, when Iran gave its first space monkey a hero's welcome, people noticed that it looked considerably different than the monkey it had supposedly sent to space. Iran claimed the photos were just a mix up, but the world wondered whether the original monkey had died or perhaps had never gone into space to begin with. On the serious side, the BBC reports that sending a monkey into space worries the West because they fear Iran could be testing technology that could be used to launch ballistic missiles. "On the Persian-language version [of Rouhani's statement], he said [the monkey] was carried by a liquid fuel rocket — Iran's first use of the technology. "There were few other details, including when the flight took place. "In January, Iran said it had sent a monkey to an altitude of about 120km (75 miles) in a Pishgam rocket for a sub-orbital flight before returning intact to Earth."